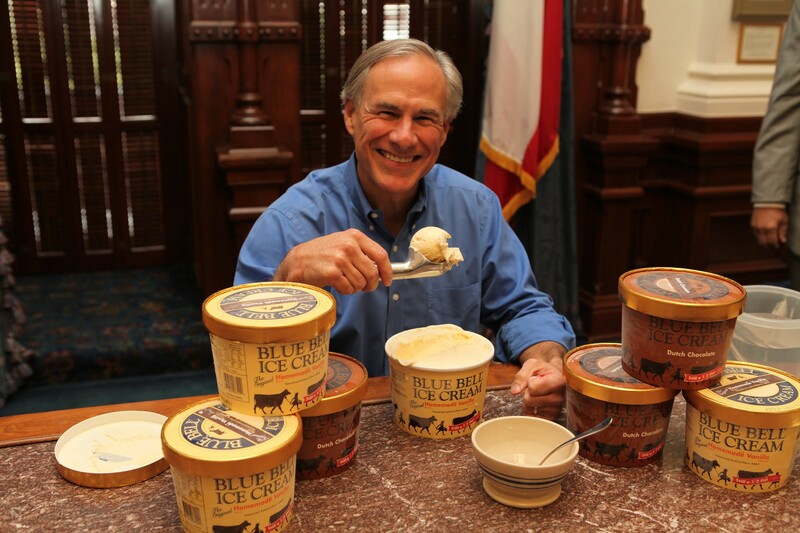 Governor Abbott is glad to have Blue Bell back in his mouth. 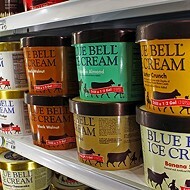 Blue Bell is finally back. 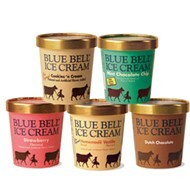 The Brenham-based creamery was forced to pull its products from store shelves last spring after 10 people fell ill and three people died after contracting listeriosis from consuming Blue Bell products. 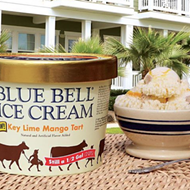 Today, the months-long Blue Bell drought ended in Austin and Houston where the company's ice cream is now available. San Antonio is not far behind. 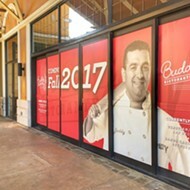 The company announced the Alamo City is included in the "phase three" portion of their product roll-out. H-E-B indicated its stores are expecting shipments of Blue Bell ice cream sometime in mid-September. Blue Bell is so quintessentially Texan. 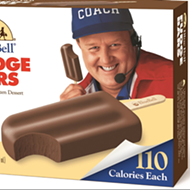 There's a certain level of state pride associated with its ice cream, and the company enjoys a cult-like following among many of its customers. 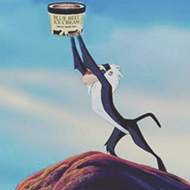 Blue Bell enjoys such good will that many cannot wait for the products' return. 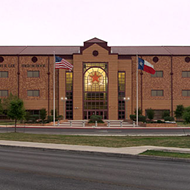 People are willing to ignore a Center for Disease Control and Prevention report that stated company was aware as far back as 2010 that its processing facilities were contaminated with the life-threatening bacteria. 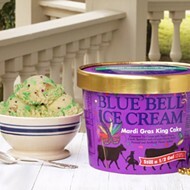 So we want to know: Does the fact that the company ignored the outbreak for years give you pause before you buy Blue Bell when it returns to SA? 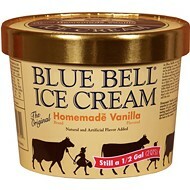 Or is your love for Blue Bell so great that the company can do no wrong? 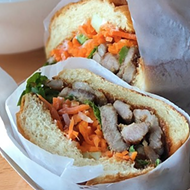 Did the listeria outbreak make your stomach churn? 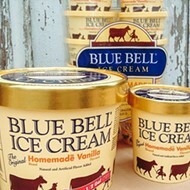 Or are you going to be buying ALL THE BLUE BELL? 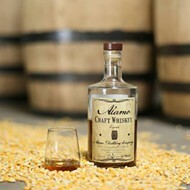 Take our highly unscientific poll, and let us know!